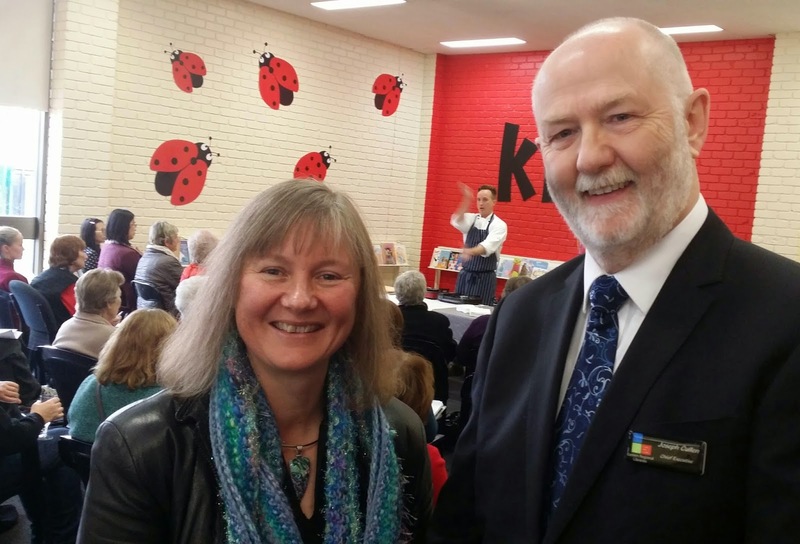 It was great to be part of celebrations for the Mooroolbark Library, last week the library clicked over 30 years of service to the local community. Chair of the Eastern Regional Libraries Corp (ERL). celebrating 30 years of Mooroolbark Library. It’s great to be part of such a well loved service. The decision to build a library was made by the council of the day back in 1983, the budget was $313,500, fully funded by council and construction took seven months. The library opened with 15,000 books, 70 magazine titles, newspapers, music and spoken word cassettes. It also included a junior and teen section and toys for children to play with, allowing parents/carers to more easily search the shelves. The collection was catalogued using microfiche. How things have changed in 30 years. Today the library receives over 87,000 visits per year and just under 166,000 items are loaned. In an emerging area for libraries, certainly not envisaged back in 1984, last year library users logged on to use 9,632 hours of free internet, whilst there were 3,356 connections to the free wifi service as well. Services have gone well beyond supplying toys to children, last year the Mooroolbark Library held delivered storytime to 3,648 children (and 2,265 adults). As part of Mooroolbark Library’s 30th, visitors watched local chef Steve Wilson from Bulong Estate create some chef magic with birthday cakes and canapés and all enjoyed the fruits of his labour as part of the celebration. Libraries are so much more than repositories for books, it’s great to see them maintaining their place as well loved community spaces for people to connect and continue life long learning.